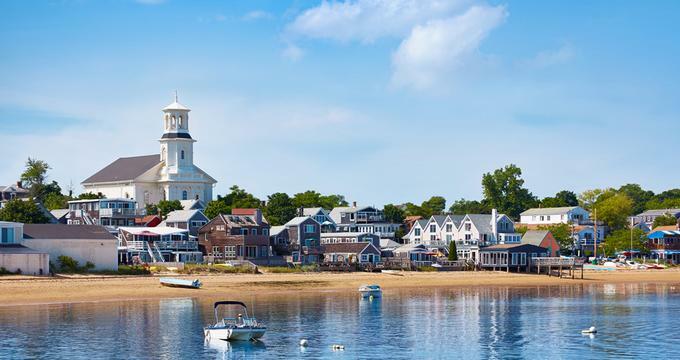 Plan a romantic weekend getaway to Provincetown, a charming beach town in New England. From historic inns, elegant hotels, spacious cottages and cozy B&Bs, couples have plenty to choose from when planning their trip. Art lovers can stay at an inn featuring unique works of art throughout the property. There are also inns with pet-friendly accommodations, gourmet restaurants, private Jacuzzis and romantic fireplaces. 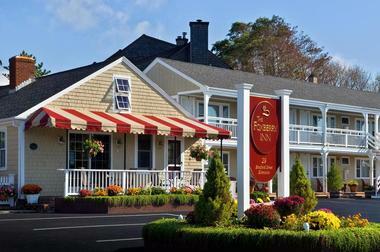 The Provincetown Hotel has been serving the area since 1979 and it is right in the heart of town. The hotel has 9 apartment units, a suite, and 10 luxurious rooms. Rooms have a Keurig coffee maker, wet bar, DVD player with TV, free wireless Internet, private balcony, fireplace, Jacuzzi tub, and Tempurpedic mattress. Eight of the rooms are pet-friendly and child-friendly. Guests can relax on the sun decks, in the gardens, or use the BBQ grills. If you are traveling with children, they will enjoy added amenities such as movies, games, and books. Guests are treated to a breakfast made to order with the option of enjoying it in the garden courtyard patio or Great Room. Refreshments and cookies are available all afternoon. The hotel also has a free shuttle service to the pier and local airport along with personal concierge services. At the romantic White Porch Inn, visitors can admire amazing works of art spread throughout the property. The nine rooms are tastefully decorated in a “beachy-chic” style, featuring contemporary art, calming qualities, and clean lines. Rooms have private baths, flat-screen TVs, DVD players, Bluetooth connectivity on the audio systems, free wireless Internet, refrigerators, hair dryers, bathrobes, and air conditioning. You can also choose a room with amazing views, a spa tub, private entrances, or a fireplace. The White Porch Gallery is on-site and provides rotating exhibits of traditional and contemporary art for guests and visitors to enjoy. Guests are welcome to relax in the kitchen, front room, and living room or borrow a beach towel and chair. In addition to the European continental breakfast, there is a tea and beverage bar within the sitting room and complimentary port and sherry. 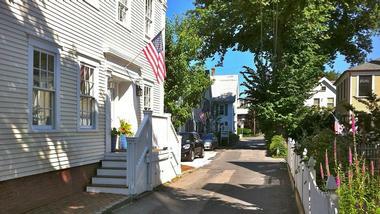 This historic building was originally the home of a Sea Captain and built in 1850 during the whaling days. Now it is a restored building with modern hotel amenities and 8 guest rooms, each of which has a private bath. The rooms have ductless air conditioning systems, mini fridges, and flat-panel LCD TVs. 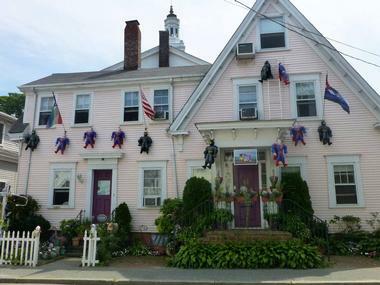 In addition to easy access to the various performances, galleries, and restaurants in Provincetown, the location of Prince Albert Guest House means visitors can see performers promoting their shows right outside the courtyard. You essentially get previews of all the shows for free while enjoying a secluded time in the courtyard. There is also a computer work station, wireless Internet throughout, a rear garden, a seasonal hot tub, and private patios. The expanded continental breakfast features Belgian Waffles, gourmet coffee, fresh fruit, fresh baked goods, yogurt, cereal, and orange juice. 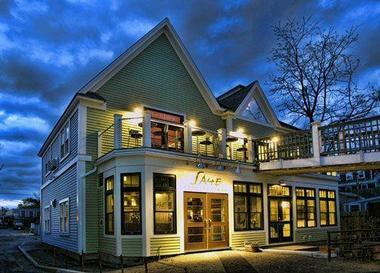 The Sage Inn and Lounge prides itself on offering farm-to-table dishes, a fun and relaxing atmosphere for guests, and the perfect event venue. 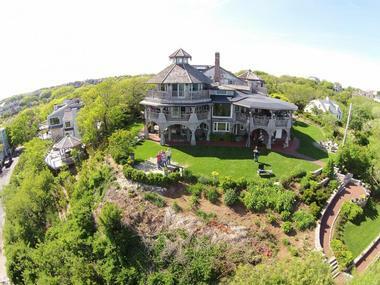 The inn spans three stories and has 19 guest rooms in a beach chic style. Every room has a private bath and can be accessed by stairs or an elevator and there are handicap accessible rooms as well as adjoining rooms. Classic rooms have a queen bed while Select Rooms are a bit larger and add a mini-fridge. Premium Rooms are newly remodeled and have a king bed and a mini-fridge. Finally, Suites have a king bed, skylight, and sitting area. Every room has climate control, a flat-screen TV, a Keurig machine, and wireless Internet. The common areas are designed to enhance your Zen and include a garden and patio area. Shared amenities include yoga classes, meditation on Sundays, bonfires, and the pool. You can enjoy a creative small plate or an herb-infused cocktail, and continental breakfast is included in every stay. Guests can also borrow beach towels and chairs or relax in the full-service lounge. The Sage Culinary School is also on-site. The Inn at Cook Street is right in the center of the oldest continuous Art Colony in the United States and the building is an 1836 Greek Revival plus two cottages. In addition to the cottages, there are two suites that combine a living room and bedroom and four bedroom suites. Each has a private bath and many also feature sundecks, fireplaces, and private entrances. The rooms have Egyptian sheets and towels with 800 thread count, wireless Internet, HBO, beach towels, and flat-screen TVs. Guests can watch the koi in the pond, hang out in the relaxing gardens or sit on the decks. The complimentary breakfast can be served in the dining room, in the garden, or on the deck and the innkeepers can accommodate most dietary restrictions with notice. Otherwise, it includes a hot dish, fresh baked goods, fruit, granola, and yogurt. Guests also get access to Mighty Leaf Teas tea, Keurig coffee, Stumptown Roasters Coffee, spring water, and baked goods in the afternoon. Guests can also make their own food on the gas barbeque grill. There is complimentary pickup from the ferry and airport along with concierge services. This bed and breakfast features 12 rooms for guests to choose from and is within easy walking distance of many local attractions and the shoreline. Guests can choose from rooms with two full-size beds, a queen, or a king bed. Every room has wireless Internet, an iron with ironing board, hair dryer, flat-panel TV, coffee maker, air conditioning, private bathroom, and mini-fridge. You also get pillow-top mattresses, free local calls, and clock radios with MP3 docking. Every room has access to a parking spot and everyone can enjoy the common areas and patios. The extended continental breakfast features fresh-baked muffins and breads along with juice, coffee, and tea. The afternoon includes complimentary refreshments perfect for getting some energy back after a day at the beach. 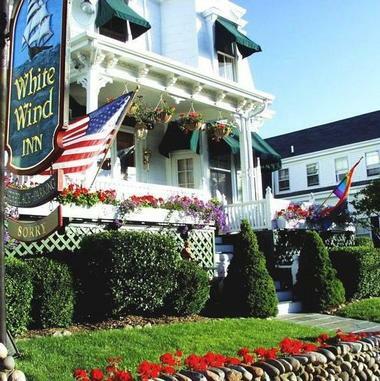 The White Wind Inn aims to offer guests a true Provincetown experience and it is open year-round. The building was constructed in 1845 by a shipbuilder and today it has period touches plus modern amenities. Many of the rooms have water views and/or fireplaces and each one is packed with charm. 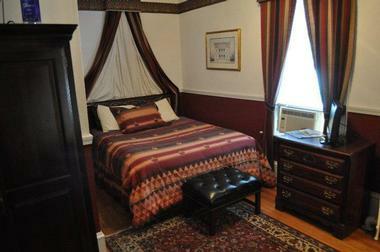 Each of the 12 guest rooms have a private bath, free wireless Internet, and flat-screen cable TV. Those who prefer more privacy can opt for one of the four cottages or suites which are essentially smaller homes away from home. Guests can enjoy the common room with its grand piano and fireplace or sit on the front porch and watch people walk along Commercial Street. The private backyard patio is perfect for some quieter relaxation. There is an area for storing bikes as well. The expanded complimentary continental breakfast helps guests start their day right. Christopher’s By the Bay dates back to the middle of the 19th century and is on a quiet side street with easy access to the nearby galleries, beaches, and more. Guests can choose from a room with or without a private bath. All rooms have luxury amenities and linens, wireless Internet, telephones with data ports and voicemail, cable TVs with DVD players, air conditioning, and shared fridges. Some guest rooms also feature bay windows, fireplaces, or chandeliers. One room is also pet-friendly, letting guests bring their dog with them. This bed and breakfast has its own outdoor garden which is nice and quiet. The daily expanded continental breakfast is available every morning with fresh fruit, granola, teas, coffee, juice, yogurt, cereal, and baked goods. 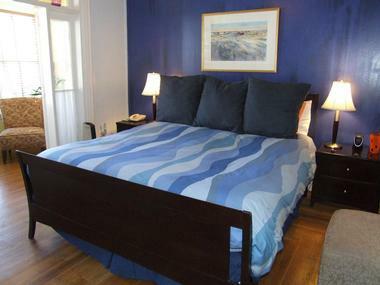 Located in a historic sea captain’s home, Queen Vic Bed & Beverage features nine rooms, each with a private bath and either a king or queen bed. Rooms have wireless Internet, flat-screen TVs, and mini fridges. 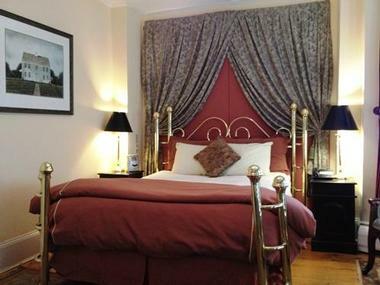 The large and stately rooms also have air conditioning, which is found throughout the property. Guests can relax in the gardens, sit on the front patio, or enjoy the inn’s private hot tub. The inn also has a newly-installed bar with fresh cocktails every afternoon. Expect the bar to be quiet and relaxing as it is only open to guests and their friends. The day begins with a complimentary breakfast featuring daily baked treats and fresh cut fruit. Meet the other guests during the regular Meet and Greet in the large outdoor area. Snug Cottage aims to create a warm and secure place for guests to enjoy while receiving easy access to Provincetown attractions. It was built in 1825 and surrounds guest with history along with modern amenities. Guests get complimentary high-speed wireless Internet throughout the property, multiple daily newspapers, access to the DVD library, and AVEDA toiletries and bath products. Other amenities in the eight rooms include hair dryers, private baths, iPod docking stations, alarm clocks, flat-screen TVs, ceiling fans, and air conditioning. Some rooms also have fireplaces, tubs, and expansive windows. The quiet garden is perfect for enjoying a snack and some wine or just relaxing. In the morning, you are treated to a breakfast buffet that includes a delicious fruit and nut granola that guests tend to request the recipe of. To keep you energetic throughout the day, there are afternoon snacks and wine. 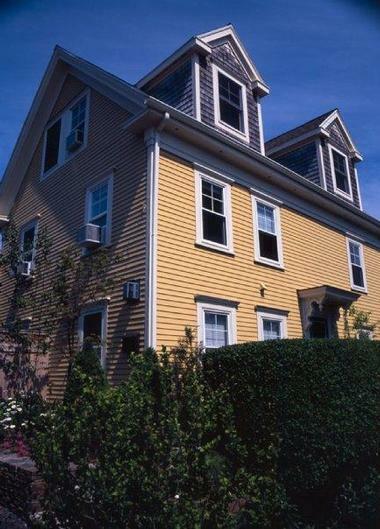 The 8 Dyer Hotel is a bed and breakfast just steps away from all the Provincetown attractions such as shopping and the beach. The hotel is cozy and owned by a chef, giving everyone the personal attention and/or privacy they want. Each room has individual climate control, a closet, a private bathroom, a safe, a wet bar featuring a fridge and sink, an iron, a hair dryer, an alarm clock, USB charging stations, a flat-screen TV, DirectTV and HBO, deluxe towels, and luxury toiletries. You can request flowers, wine, champagne, or arrange a tour as well. Guests can relax in the indoor Jacuzzi or pool. There are also complimentary bikes and helmets, towels, beach chairs, and concierge services. The full gourmet breakfast is delicious; after all, a chef is the owner. Breakfast is in the form of a buffet packed with various savory and sweet dishes, fresh fruit, fresh homemade breads and muffins made from scratch, pancakes or waffles, fresh orange juice, fresh brewed coffee, local jams and honey, and more. The hotel can accommodate most special diets with notice. 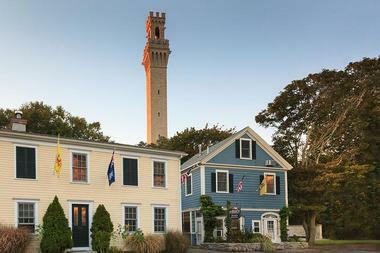 The Sunset Inn is among the oldest guest houses in Provincetown. It dates back to a mid-19th century private home and has welcomed guests for over half a century. The rooms are spacious and have either shared or private baths and single, double, queen, or king beds. Every room has its own décor along with a color TV and in-room phone. There are 18 accommodations to choose from. 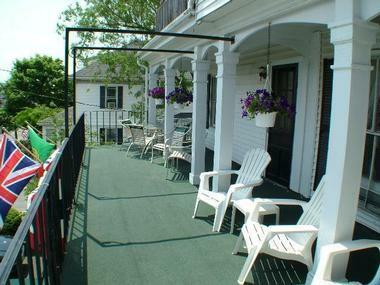 Guests can relax on the garden patio while looking at the flower beds and manicured lawn or sit on a sundeck. The living and conversation areas feature data ports. Guests receive a continental breakfast which includes homemade muffins, fruit, coffee cake, freshly brewed coffee, tea, juice, milk, and cereal on the garden patio. 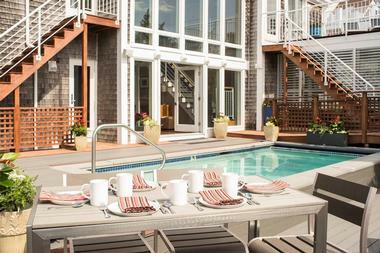 The inn’s location is perfect for those who want to enjoy everything Provincetown has to offer. It is just a block from the beach and from the center of town. 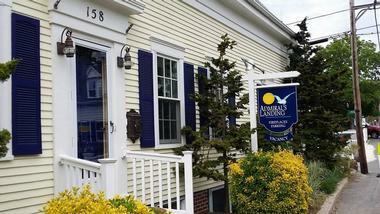 Land’s End Inn offers 18 luxurious guest rooms and is right at the top of Gull Hill in the West End. This location allows for impressive views and the offers a perfect location with just a short walk to the downtown area or steps to the beach. Rooms can sleep two or four guests with queen or king beds. Every room has a flat-screen TV, heating and air conditioning controls, personal bathrobes, premium toiletries, pillow-top mattresses with lush linens, and complimentary wireless Internet. Some rooms are pet-friendly and they may also have features like premium shower heads, sitting areas, and whirlpool tubs. The day begins with a continental breakfast featuring home-baked breads and muffins, fresh squeezed orange juice, fresh fruit, berries, coffee, tea, cereal, jam, and yogurt. There are complimentary beverages during the day. The early evening features fine wines and beer along with a complimentary cheese tray. 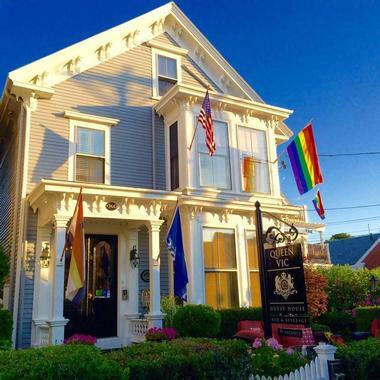 This historic inn and spa gives guests the chance to unwind at the center of everything in downtown Provincetown with luxurious accommodations, an on-site restaurant, and other amenities. The hotel has 40 rooms spread throughout six buildings which have been architecturally restored. Many rooms have whirlpool tubs and fireplaces. There are seven different room types, including the Penthouse Suite, Deluxe Two Story, Executive Suites, Deluxe Suites, and the choice of Pamper Me Once, Twice, or Three Times amenities. Every room has a DVD player, coffee maker, Internet services, and more. Guests can relax at Kiehl’s Shui Spa. Other on-site amenities include home baked cookies and treats in the afternoon, an in-ground dipping pool, an in-ground 10-person hot tub, private concierge, newspapers, spa and beach towels, and wet bars. The on-site restaurant The Pointe is perfect for an upscale meal. Rooms also receive a complimentary gourmet hot breakfast buffet with cooked to order treats. The Carpe Diem Guesthouse provides sleeping accommodations and a relaxing spa at one convenient location. Every room and suite has a unique personality and you can choose from rooms with fireplaces, Jacuzzi tubs, and/or king-sized beds. All have cable TVs with DVD players, down comforters and pillows, stereo alarms, bath robes, air conditioning, premium toiletries, and hair dryers. All guests have access to the common rooms, patios, and gardens. You can relax by the fireplace in the common room. Guests can also enjoy bike storage, wireless Internet, and laundry service. The spa area has an outdoor shower, hot tub, dry sauna, steam room, and available massage services. The inn provides a beach bag featuring snacks, water, and towels. The coffee station is always stocked with Carpe Diem coffee and guests get complimentary port and sherry along with a cheese and wine hour and afternoon refreshments. The day begins with a homemade gourmet breakfast with the typical continental breakfast items plus fresh eggs made to order and daily specials such as pancakes and waffles. 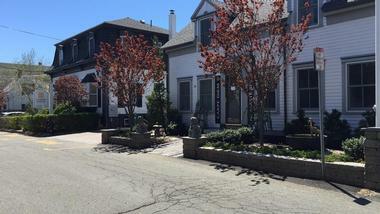 This hotel and guesthouse is right by Commercial Street for easy access to everything in the area. There are eight room types to choose from, including Classic and Superior Queens, Cottages, Poolside Cabanas, and a Penthouse Suite. Each of the 43 rooms and suites is heated and air conditioned and has free wireless Internet, iPod adaptors, premium Keurig Coffee makers, mini-fridges, coolers, rain umbrellas, and beach towels along with a flat-screen LCD TV. The guesthouse features a terraced courtyard, oversized in-ground spa, and infinity edge pool along with beautiful landscaping. You can go to the private rooftop deck with a water view, lounge next to the pool or relax in the 15-person hot tub. There is an evening cheese and wine reception. The on-site Shipwreck Lounge is among the most popular gay lounges in the area and great for a cocktail or wine in an upscale environment. Enjoy a complimentary beverage by the pool. This 1860’s building is centrally located, meaning it is just a short walk to galleries, restaurants, or shops. This women-owned bed and breakfast features eight guest rooms in two buildings with fireplaces and complimentary wireless Internet. You can enjoy air-jetted pedestal tubs or large waterfall showers in the private bathrooms. There is even the Waves Penthouse for extra privacy and luxury. Other in-room amenities include hair dryers, HD TVs with DVDs, alarm clocks featuring iPod docking, air conditioning, ceiling fans, and fridges. Guests have access to the private courtyard, garden patio, and a gas grill for barbecuing. The expanded complimentary continental breakfast is homemade, and guests can expect cereal, yogurt, granola, freshly baked muffins or similar items, and hot egg dishes. 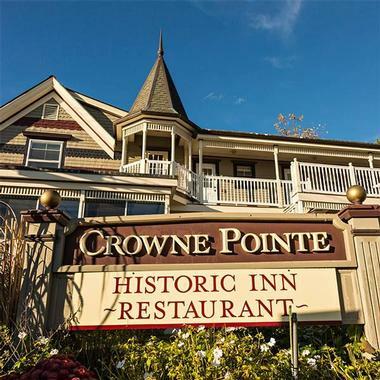 Somerset House Inn is one of the accommodations in Provincetown that is open all year round and it is right by Cape Cod Bay, giving amazing views. Each room has a phone, triple sheeting, a TV with cable and a DVD player, a private bath, wireless Internet, individual heating and air conditioning controls, irons, hair dryers, and mini-fridges. Some rooms also have fireplaces and all rooms get daily housekeeping. 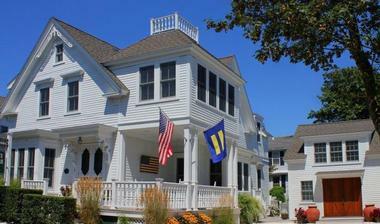 This inn prides itself on being gay-friendly and offers 12 rooms to choose from. Guests have access to a bike rack, fax machine, and computer room. The nightly cocktail hour is perfect for mingling with other guests and the hot breakfast is the perfect start to any day. Breakfast includes iced or hot coffee, juice, hot Harney & Sons tea, a hot main dish, seasonal fruit, yogurt, cereal, and baked goods. The innkeepers can meet dietary restrictions with notice. 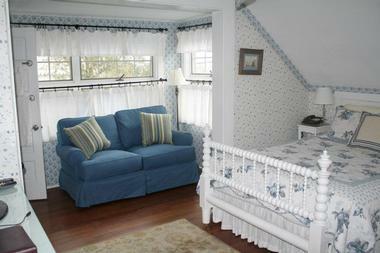 The Bayberry is a bed and breakfast providing accommodations for guests all year long. It is the perfect location, about equidistant from the afternoon tea areas, hot night areas, and the beach. Each of the rooms has a private bath and private entrance. The rooms have queen beds, flat panel TVs, ceiling fans, air conditioners with individual air and heating controls, radio and disc players, luggage racks, refrigerators, alarm clocks, hair dryers, and irons with ironing boards. There is daily room service and two rooms have fireplaces. Choose from one of the six rooms or the Great Room Apartment, which gives you a living room with an extra pull-out queen sofa, dining table, an extra TV and even a kitchen. Everywhere you look in the house you will find antiques and collectibles. The included parking is also accessible 24 hours a day without other cars having to move, something few inns in the area offer. Aerie House offers nearly every type of accommodation guests could want, including rooms with shared or private baths, suites, and even efficiency or waterfront apartments. The Beach Club has three single-story apartments and a stand-alone cottage. These apartments have wireless Internet, two TVs, a DVD player, a CD player and clock radio with an iPod dock, and a charcoal grill along with air conditioning or floor fans. Guesthouse rooms have similar amenities, with air conditioning, pillow-top mattresses, fridges, coffeemakers, LCD flat-screen TVs, cable, DVD players, CD alarm clock radios with iPod docking, and some feature gas fireplaces. There is complimentary champagne upon arrival. Those in the Guest House or Beach House can enjoy all of the same common amenities, including the DVD library. The inn provides complimentary bicycles for guests to explore the area with ease and has a private beach harbor. The outdoor hot tub is a huge hit as is the sun deck with its bay view. Breakfast changes every day and has baked goods, hot dishes, cereal, fruit, yogurt, bagels, and more along with newspapers. Guest can eat breakfast on the deck under an umbrella. Many of the accommodations in the Benchmark Inn have breathtaking views and the staff is multilingual, making it easy for visitors from around the globe to stay here. 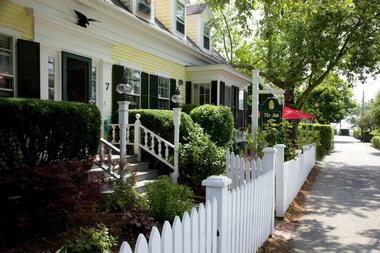 It used to be an 1850s captain’s home and has been a guesthouse for over two decades. The seven rooms have private entrances and fireplaces and many also have semi-private or private outdoor areas, Jacuzzis, and wet bars. Other standard amenities include room safes, flat-screen Smart TVs with a DVD player, individual heating and air conditioning, ceiling fans, hair dryers, toiletries, wireless Internet, king or queen beds, mirrored closets, irons, and a Keurig coffee maker or tea brewer. The inn is just five minutes’ walk from the center of Provincetown, making it close enough to popular places in the area but far enough to be quiet and relaxing. The daily extended continental breakfast offers juice, fruit, snacks, coffee, or tea throughout the day. The inn has complimentary transportation to the airport or pier. The John Randall House was recently renovated and is just a block from the art galleries, shops, and more on Commercial Street. Leo the dog lives on the property and two of the rooms are pet-friendly. All ten of the rooms are heated and eight of them have air-conditioning. All rooms also feature daily housekeeping and wireless Internet, queen beds, cable TVs, a fridge, and a CD player with a clock radio. You can choose from a shared or private bath. There is free parking on-site and the front porch is enclosed and heated so you can enjoy it all year round. Guests have access to a beverage center, ice machine, relaxation deck, sunning deck, bike rack, rain umbrellas, coolers, and beach towels. A continental breakfast is included with every stay. 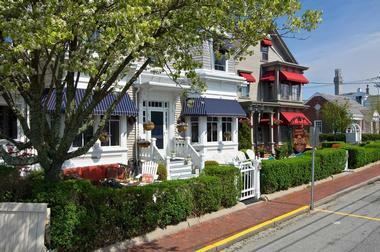 This Victorian era building is in the center of Provincetown, putting various clubs and other attractions within a block. The rooms have 19-inch LCD TVs and air conditioning. Most of them also have small fridges for convenience. There are eight rooms spread across three floors and the inn is for adults only. The property has wireless Internet and the common room has a 37-inch HD TV. You can also request an iron, use the ice machine, or book an appointment with the on-site massage therapist. Guests can relax on the secluded private deck where they will find flowers and the hot tub. There are comfortable chairs and chaise lounges, and this deck is clothing optional for most of the day. The daily complimentary breakfast includes homemade breads and muffins, fresh fruit, fresh orange juice, and coffee. During the day, homemade treats are available. 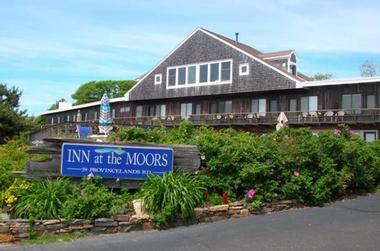 Guests tend to choose the Inn at the Moors for its gorgeous location with quiet seclusion and natural beauty with easy access to downtown Provincetown. After all, it is just a mile from the center of the city and only half a mile from the most active area. The 30 beach-style cottage rooms feature cube refrigerators, wireless Internet, telephones with free local calls, ceiling fans, private baths, hair dryers, tiled baths, flat-screen TVs, and individual temperature controls. Some rooms also have walk-in closets, sofas, larger fridges, and balconies. Consider bringing your binoculars to enjoy views of the birds soaring and heron fishing and get ready to see the stars at night. There is free parking and a heated pool for guests to enjoy. In the cooler weather, enjoy the fireplace in the lobby. The Inn makes it fairly easy to reach the secluded area known as Long Point. The day begins with continental breakfast and you can enjoy complimentary ice or the picnic and barbeque tables all day.